We spent Christmas in Torquay at my brother and sister-in-laws house with the family and had such a lovely time, it went way to quickly and we are all looking forward to going back. 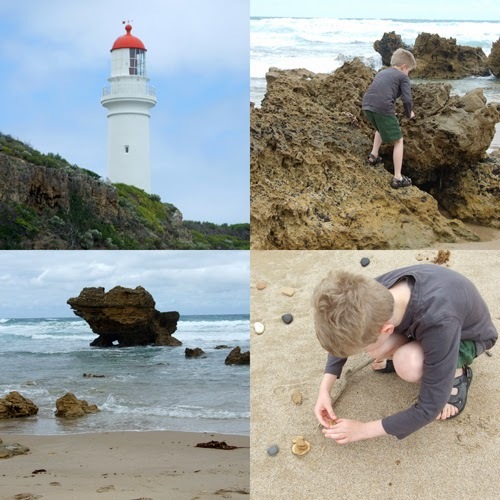 Torquay is just near the beginning of The Great Ocean Road in Victoria, it takes about 8 hours to drive over from Adelaide, about 11 or 12 hours for us with stops along the way for the kids. 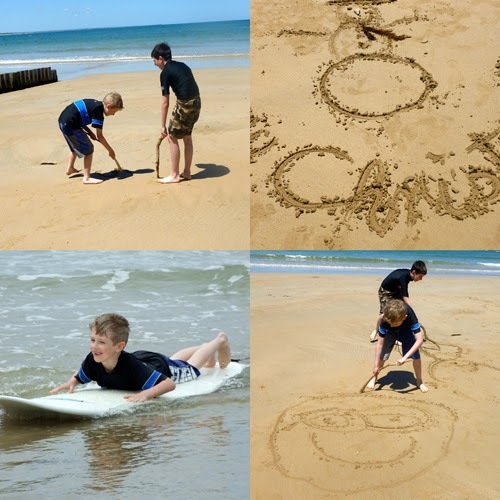 The boys had a great time at one of the beaches in Torquay, the weather was beautiful and my brother was teaching them to surf a little. 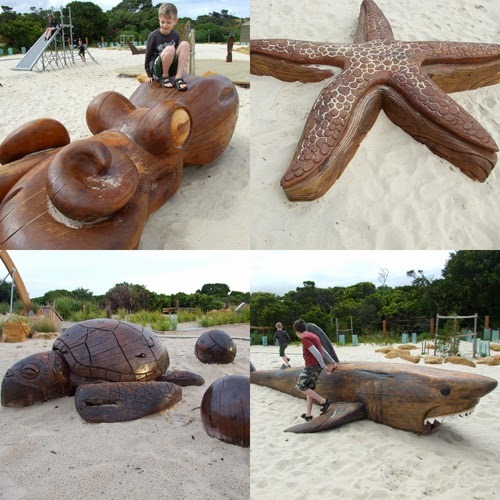 There are fantastic parks for kids in this area, these are a few of the large wooden sculptures in some of the playgrounds. 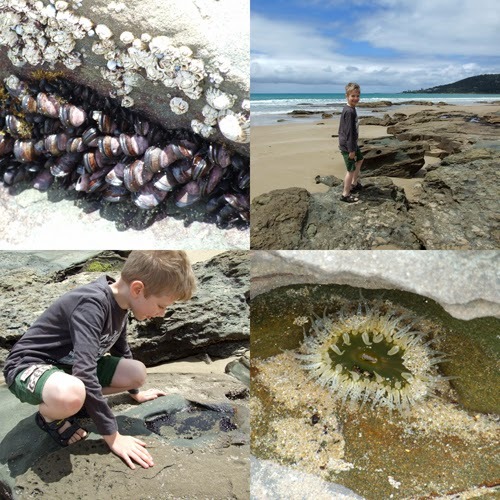 We drove along The Great Ocean Road to Lorne one day and had an explore along the beach. This is Aireys Inlet, we had the best fish and chips for lunch here. 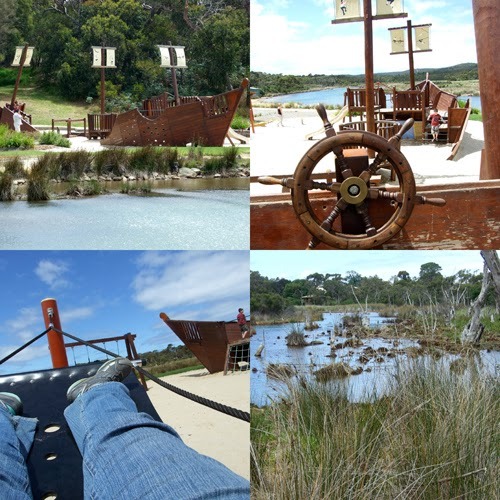 There was a fabulous park amongst wetlands with a big pirate ship at Anglesea. Christmas Eve we had a beautiful dinner with lots of yummy food, the cherries were amazing! 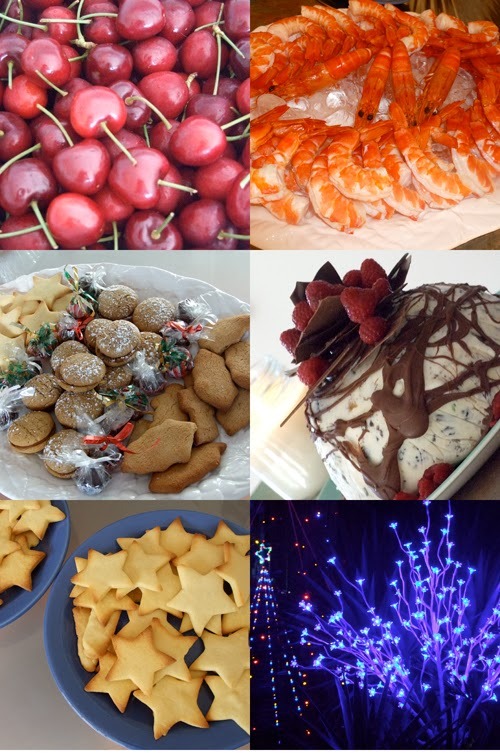 Christmas morning, busy preparations and great food for lunch. 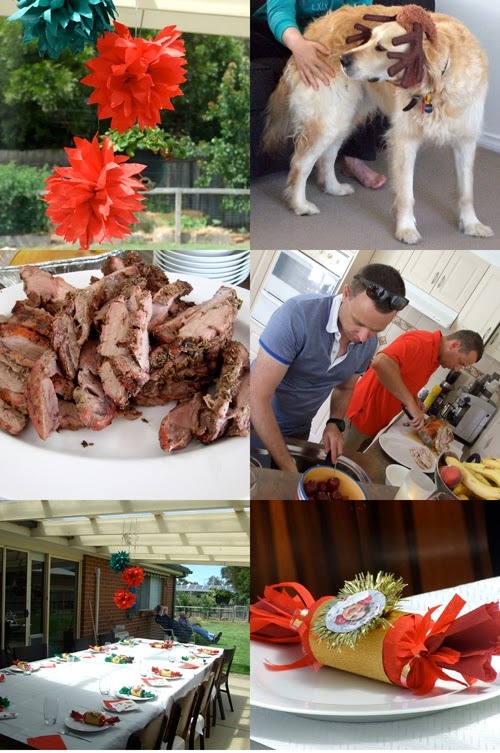 My brother Shaun cooked mouth watering lamb on the BBQ and my brother Travis cooked a delicious turkey, it was great to see the them working together in the kitchen. 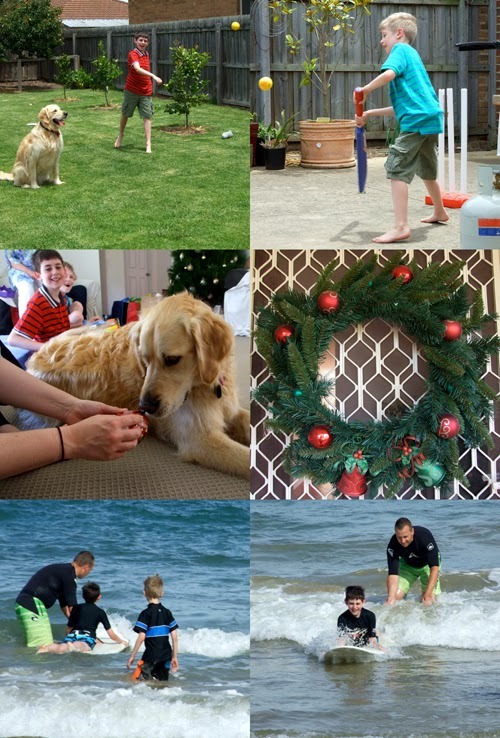 Christmas afternoon and time for backyard cricket, present opening and a trip to the beach. We loved Christmas in Torquay!